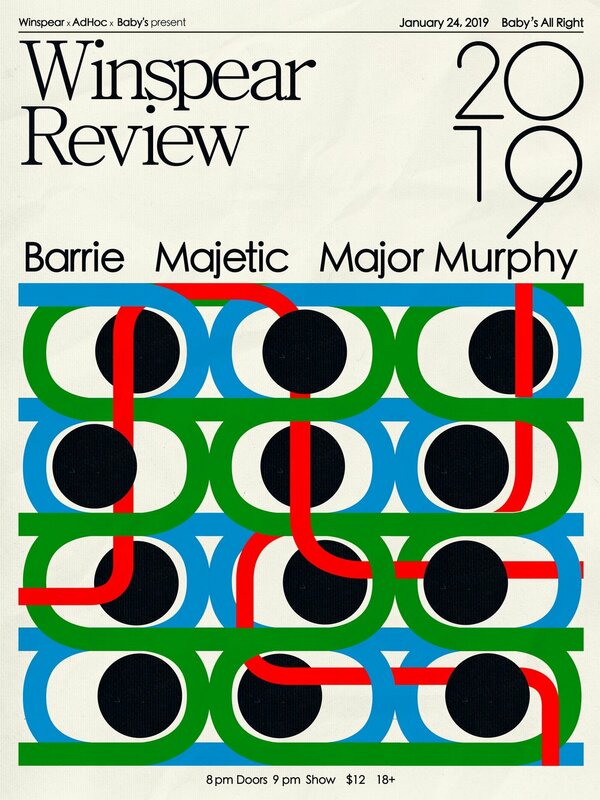 Now available: 2019 Winspear Review screen print poster. 18" X 24" poster. Screen printed in Bloomington, IN by In Case Of Emergency Press. Art & Design by Aaron Lowell. 11.5" X 18" poster. Screen printed in Indianapolis, IN by Jacob Gardner. Art & Design by Aaron Lowell. 12.5" x 19" poster. Screen printed in Bloomington, IN by In Case Of Emergency Press. Art & Design by Arron Lowell.